Iran has more enriched uranium than it needs and plans to use that as a negotiating tool at nuclear talks in Geneva next week, Iran’s Majlis Speaker Ali Larijani said in an interview with the Associated Press today. “We have some surplus, you know, the amount that we don’t need. Over that we can have some discussions,” Larijani said, referring to next week’s talks P5+1 over the future of Iranian nuclear program. 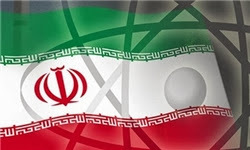 Larijani added that the discussions with P5+1 on 15-16 October would be in the context of possibly halting its enrichment of uranium to 20 percent. “So basically the two parties need to work out a formula that provides for the two concerns (Iran’s right to enrich and Western concern over nuclear weaponization.) This shouldn't prove to be very difficult," Larijani said. Note: It seems that Iran will come to negotiating table with a set of proposals, none new, but together they could form the basis of an agreement: swapping Iran’s current inventory of 20-percent enriched uranium and a halt to that program for a recognition of Iran’s rights to enrich uranium at 5-percent purity under strict international supervision and lifting of oil and banking sanctions that has practically brought the country’s economy to a halt.
" It seems that Iran will come to negotiating table with a set of proposals, none new, but together they could form the basis of an agreement..."
no, those things can not be the basis of an agreement. nothing new from Iran means nothing gets signed and things stay as they are, steadily damaging Iran.